We’re thinking of starting a betting pool. 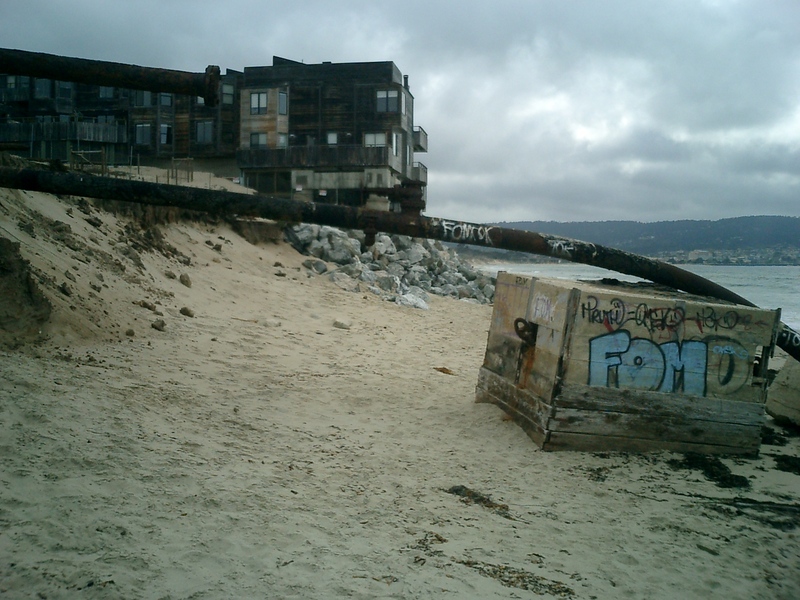 Exactly how much money will owners of doomed Monterey Beach properties like the Ocean House Condos and the Monterey Beach Hotel spend on trying to save them – and how much time will that money buy them – before they’re forced to throw in the towel? The price tag got steeper last week for the Ocean House Condo owners. Already faced with building a multi-million dollar seawall, they must now throw in an additional $2.15 million to compensate the public for the loss of the beach. That’s the ruling from the 6th District Court of Appeal. And seeing as how they sued the Coastal Commission to get out of paying the fee – and lost – they are also on the hook for, undoubtedly substantial, legal fees. As we’ve mentioned before, sea level is rising and the Monterey Beach is moving inland at a fairly rapid rate. When built, in the 1970’s, the Ocean House Condos (apartments in those days) were back in the dunes. Today, only piles of boulders prevent waves from running up under the front row of condos with every high tide. 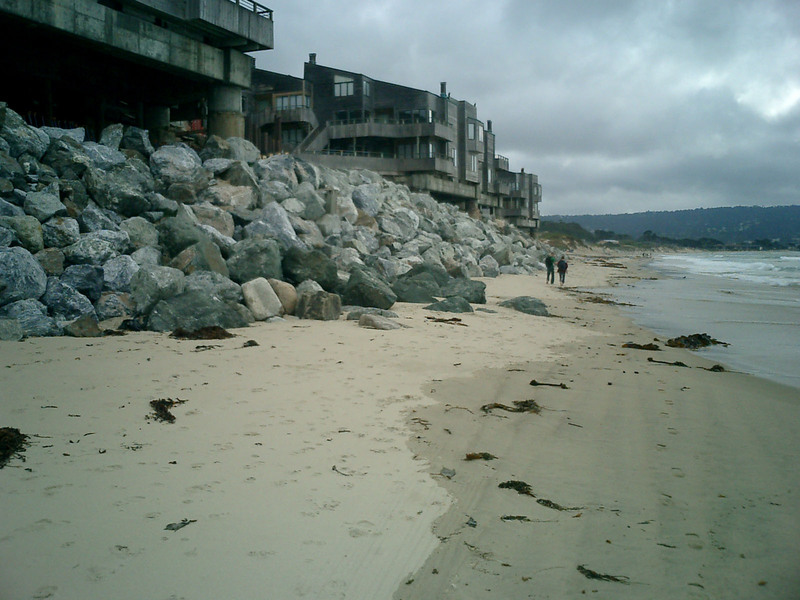 And, at high tide, there is no longer any beach to walk on in front of the condos – cutting off one of Monterey’s most popular running and walking routes. As beach erosion continues, the condos, provided more and more money is poured into seawalls, will begin to form a peninsula. The beach in front of them will disappear completely. As the forward walls become exposed to more and more constant wave action, maintaining them will become more and more expensive. At some point – presumably before the property becomes an island – the owners will be forced to give up. But how much will they spend first – and how many years will it gain them? Prepare to place your bets …. The $2.15 million will go to the Regional Park District to help them buy new beachfront property for public use (to make up for what the public is losing due to the hardening of the shoreline in front of the condos). It’s a nice gesture, but it’s pretty obvious that a couple million bucks isn’t going to buy anything to replace the nice, long, unobstructed Monterey Beach – and that’s what the owners of the Ocean House Condos are taking away from us. 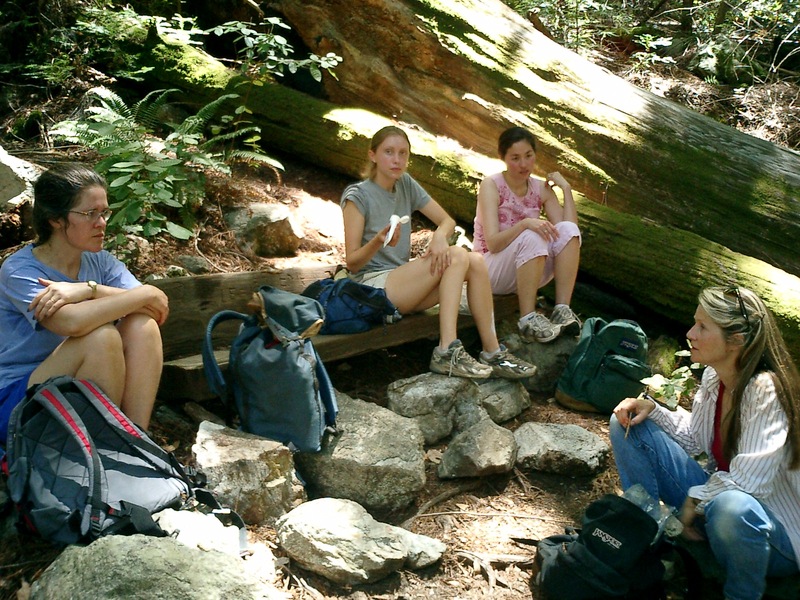 This entry was posted on Wednesday, June 4th, 2008 at 10:42 am and is filed under Coastal Development/Erosion, Courts. You can follow any responses to this entry through the RSS 2.0 feed. You can leave a response, or trackback from your own site. It seems like instead of a seawall they could build some kind of artificial peninsula with a pedestrian walkway covered with sand. Didn’t they build an entire airport on an artificial island in Hong Kong? Worse than losing the beach is losing our ability to imagine more creative solutions. Remember Earth Day 1972 with Rick W, protesting Holiday Inn’s desecration of the beach with torches and Southern Comfort? Ah yes …. Some things are too good to forget. And remember how much wider the beach was then! Public meeting to seek input from stakeholders on the draft Coastal Regional Sediment Management Plan.